HP managed to take over the technology press today, and nearly broke the Internet, a feat that it rarely accomplishes. The company revealed strong earnings, said it is killing webOS, and strongly hinted that it is contemplating the sale of its PC division. In terms of things to chew on, HP gave us a triple serving. But let’s focus on the one what matters most: The company’s potential sloughing off of its ‘Personal Systems Group,’ or its PC division. HP could sell the division (but who would buy it? ), or could spin it off as a standalone company. We are going to look at its PC business as a standalone business, and then use that picture to estimate what a buying price might be. HP’s Personal Systems Group (PSG) is a bit hairy, because it encompasses more than we want to discuss, the PC side of HP. That said, the PSG is frankly the best stick that we have to measure by, as it is a discrete unit in HP’s earnings reports, giving us figures to run amok with. The PSG used to contain HP’s handheld business unit, but those revenues were moved at the start of fiscal 2011, so we will not treat with them. We must, however, cut out the digital entertainment products from total PSG earnings. Once we do that, we will have a revenue number for only HP’s PC business. In its most recently reported quarter (fiscal Q2 2011), HP reported $9.4 billion in revenue for the Personal Systems Group. We don’t see how HP’s digital entertainment devices could do $940 million a quarter in revenue, or, 10 percent of total PSG revenue, but we will grant them that as it is better to be conservative than optimistic when projecting. We are thus estimating HP’s PC operations to be 90 percent of the PSG’s business. With that 10 percent discount in mind, we can discount the PSG’s total revenue, and estimate PC-only revenues at around $8.5 billion. In that same quarter, net earnings for the total PSG were $533 million. After a 10 percent discount, the PC business alone earned $478 million. For the last six months, both reported quarters of fiscal 2011, the only two quarters in which the company’s handheld revenue was not counted in PSG numbers, thus giving us a more accurate set of numbers, the PSG group reported $19.8 billion dollars in revenue, and $1.2 billion in earnings. With our discount: The PC division did $17.82 billion in revenue and earned $1.08 billion dollars net profit. To get a rough one-year picture, we will double the two quarters that we have. 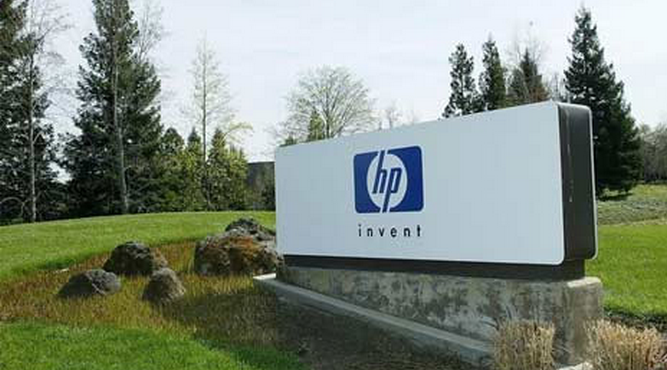 This gives us $35.64 billion in annual revenue, and $2.16 billion in earnings for HP’s PC division. Interestingly, HP lists a non-GAAP (Generally Accepted Accounting Principles) operating margin of 5.7 percent for the PSG, which seems to be a bit low. That aside, looking at the margin charts, it is simple to see why HP might want to dump its PC business: It’s average (self reported, non-GAAP) operating margin is (consolidated) 11.3 percent, just under twice its PC division’s margin. Ouch. Now that we have a set of figures on what a company that was strictly HP’s PC business would do a year in terms of revenue and earnings, at what multiple would such a company trade on the market? Dell is trading at a miserable PE ratio of 7.37, HP is sitting at 14.23, and Acer at 6.47. Given that the two purest PC plays out of those three are trading between 8 and 6, we’ll assign the spun-off HP PC company an expected PE of 7, right in the middle. Doing so almost feels mean, but the market has spoken. At a PE of 7, and yearly earnings of $2.16 billion, HP’s PC operation as a standalone corporation, traded on the NASDAQ, would be roughly worth $15.12 billion. Now, when HP purchased Compaq (oops), it did so at an 18 percent premium of the company’s former stock price. Therefore, we shall apply the same premium to our theoretical HP PC division, to better estimate its theoretical purchase price: $15.12 billion at an 18 percent premium is $17.84 billion. Now here is the real kicker: HP paid $25 billion for Compaq in 2002. Sound off in the comments: Is our analysis wildly out of whack? How would you value HP’s PC division?